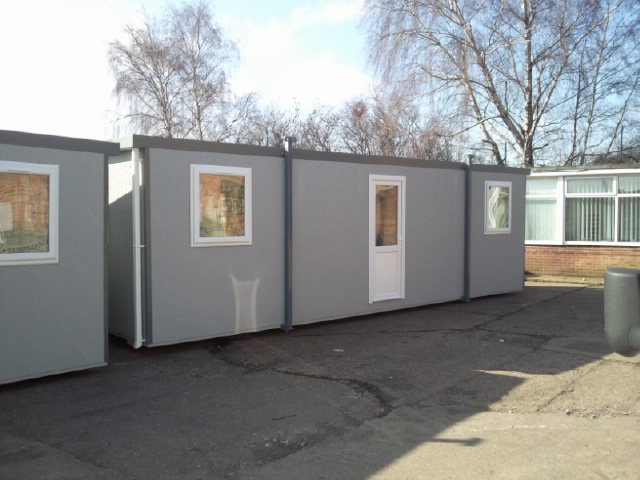 Modular Buildings For Offices - ARH Portable & Modular Buildings Ltd. There was a time when business were known by the size of their office spaces, with the economic downturn and companies having to make hard decisions to scale back or move offices, modular buildings are a fantastic way to restructure business and get a portable office at the same time. Modular offices, as the name suggests are built in modules. What this means is that the stately old mansions or Victorian offices of the past are no longer an effective way for a company to run its operations. This has a whole lot to do with the rise of the white collar middle class. In the earlier days, most people worked as part of the manufacturing or (even earlier) agricultural industry. They had little to do with offices, let alone modular offices. But as more and more people moved to cities and began to take on roles in changing economies, they were all accommodated in the early offices. The trouble with early offices was that they were buildings built to last. There was nothing transient or temporary about them. As such, they were built during the zenith of a company’s existence and were meant to impress upon the people the fact that that particular company or organization had well and truly arrived. But soon, the vagaries of the economy took their toll on these behemoths. As restructuring became a workplace mantra and the roles of professionals changed rapidly, the need for quick and easy reorganization of offices was sorely felt. This is what gave birth to modular offices and workplaces. Today, every office is a modular office. And modular offices have served the growing needs of the modern day enterprise rather well. The benefit of using modular offices is that companies first and foremost no longer need make costly infrastructural investments. The second and probably more important aspect is the scalability of modular offices. Say the company has made provision for modular offices for a team of 40 people. However the building can easily accommodate another twenty people. As and when the need arises, it is a simple matter of fitting in more cubicles and cabins into the overall modular offices structure. This ensures that organic growth of the company is matched step by step by the modular offices themselves.